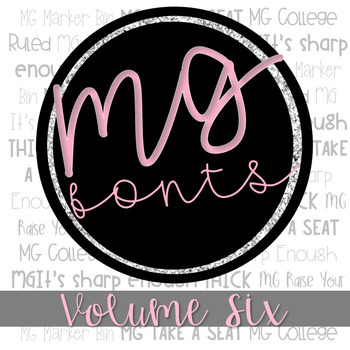 Save 20% and purchase select MG Fonts in the GROWING BUNDLE! Check out the preview to see exactly what you'll get! FONTS NOT APPEARING? HAVE YOU TRIED THIS? 1. Restart your computer or shut down your Microsoft programs completely and then reopen. This will ensure that the font cache is updated. 2. 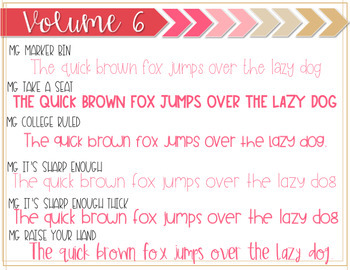 When installing the fonts, do not highlight and drag them into your font book all at once. Instead, click each font file and download them individually. 3. If the fonts appear in your font book but will not appear in your Microsoft programs, you may need to transfer them into the Microsoft Office Compatible list. Open font book and highlight the custom fonts. Drag them into the folder labeled “Microsoft Office Compatible.” Then restart your computer so the font cache updates. This should hopefully help the program recognize the fonts.